Today’s Flash Back Friday comes from Episode 171, from September 2013. 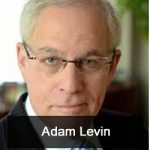 Adam Levin is the Founder of Identity Theft 911 and Credit.com. He was the former Director of the New Jersey Division of Consumer Affairs. Levin shares some money lessons every new graduate needs to know and explains why parents don’t talk about money with their children, and how this in turn hurts kids. A new survey found that ID theft is a top travel concern. Levin gives steps business and leisure travelers should take to avoid fraud and ID theft on the road and discusses the problems with Social Security numbers. He particularly warns newlyweds to be cautious of ID theft. Some people are seeing mortgage refund checks bounced. Levin also talks about a tax form that can save refunds from thieves.